There's a chance you'll find Shiny Castform, too. Trainers, it looks like “Limited Research” events are a new staple in Pokemon Go. Following Feebas’ Limited Research event in January, and Clamperl’s event in February, a third event will take place later this month. 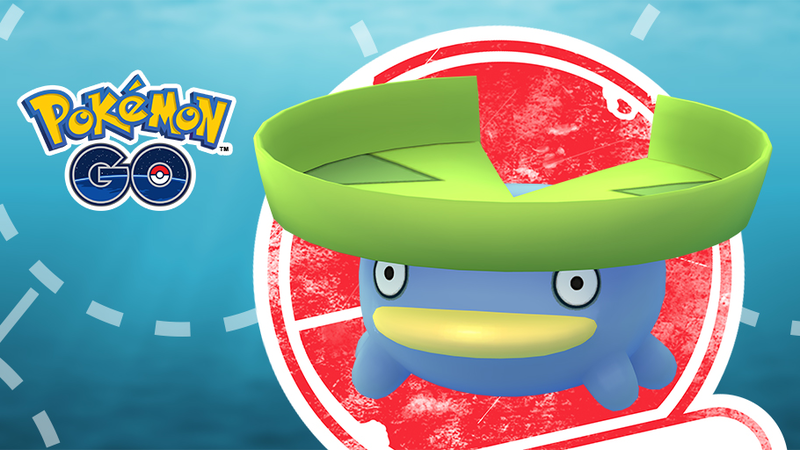 On March 30 from 11 a.m. to 8 p.m. local time, players will be able to visit PokeStops to receive special Field Research tasks that reward them with an encounter with Lotad when they’re completed. While this is a similar setup to the previous two events, it’s exciting to note that this event gives players a whopping nine hours to collect Lotad’s Field Research missions (the last two events lasted only three hours each). Lotad is a Gen III Pokemon, first seen in Pokemon Ruby and Sapphire, which were released on Game Boy Advance in 2003 in North America. In Pokemon Go, Lotad can be evolved into Lombre using 25 Lotad Candy, and from Lombre into Ludicolo using 100 Lotad Candy. As players complete these Limited Research missions, there’s a chance the Lotad they encounter will be Shiny. In addition, Shiny Castform will also start showing up in its Normal form. (Castform has four forms: Normal, Sunny, Rainy, and Snowy.) Pokemon that appear “due to weather conditions” will also appear more frequently in the wild during this event. Finally, when this event begins, a new battle move for Castform, Weather Ball, will be permanently added to the game. There’s one more thing to note before this event begins: You don’t need to finish the Limited Research tasks during this event window to receive a Lotad encounter. So long as you’ve collected the tasks on your account, you can complete them and turn them in at any time -- you’ll still receive a Lotad encounter when you turn them in.